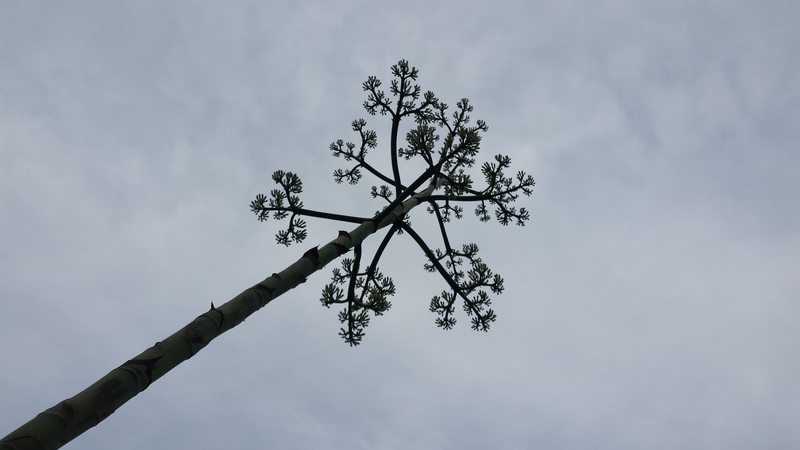 This Agave americana / Century plant will bloom only once in its life. 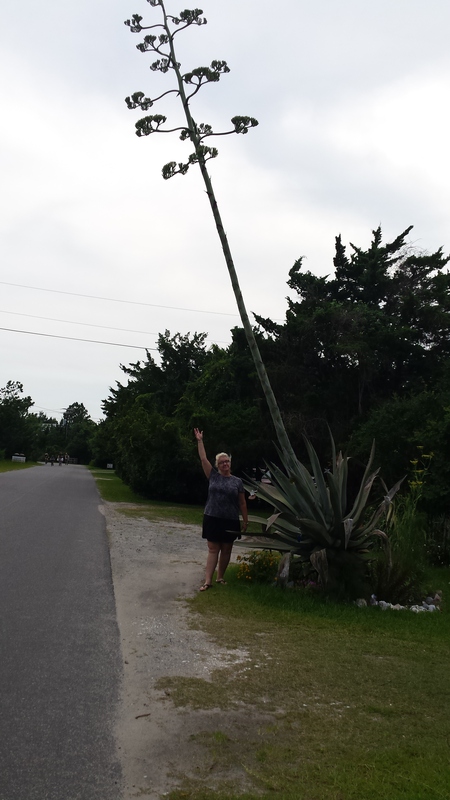 That is Flower standing under its giant bloom stalk. What a thrilling thing to see up-close.